The purpose of a Blank Credit Card Authorization Form is to give authorization to a company or a person to collect money on behalf of the credit card holder, to make purchases or collect any other financial details. Blank Credit Card Authorization Form is usually in reference to the purchases or financial bill statements for a particular time duration and once that duration ends, the person is suppose to fill another Blank Credit Card Authorization Form. 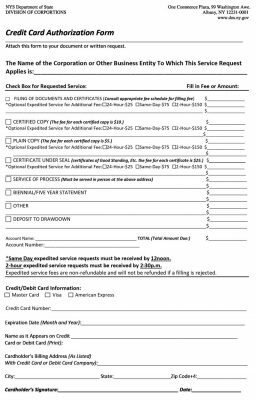 These Credit Authorization Forms are signed to give authority to chard on the card for recurring basis. What is a Credit Card Authorization Form? Credit Card Authorization form is a formal document that grants a merchant the permission to charge the credit card of a cardholder for a particular time period as mentioned in the document. 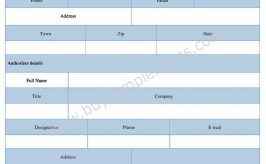 Credit card authorization form template is signed by the cardholder and authorizes the business with the authority to charge the cardholder on recurring basis. Chargebacks are an important concern for businesses as they are a protection for customers from unauthorized transactions. With Black credit card authorization form, businesses can protect themselves from chargebacks as they have brighter chances of having the case in their favour. Cardholder’s Credit Card Information: Name on Card, Card Number, Type of Card, Expiry Date. We offer ready to download credit card authorization form template for your reference. Simply click and download Black credit card authorization form in Word format which can also be converted into PDF format with ease to use as per the requirement of your business.